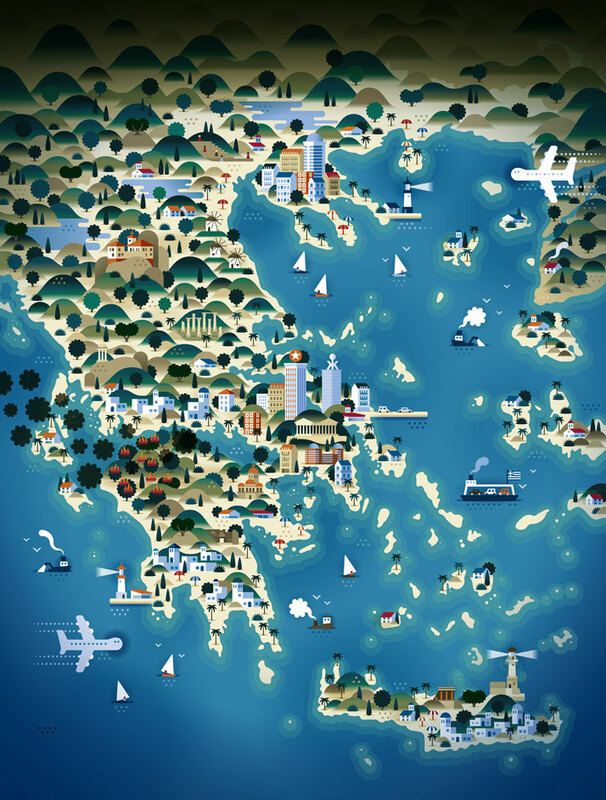 The map of GREECE (for Weekend Knack Magazine), Courtesy of KHUAN+KTRON. Graphic design studio KHUAN+KTRON are known for their characteristic colourful illustrations for magazines such as The Good Life, Wired and Monocle. Creating everything from infographics to pamphlets and magazine covers, their playful and somewhat eccentric style is full of pop culture references and smooth retro-like lines. What they are probably best known for however, is their series of maps of cities, countries and other places created for various clients, which combine a cartoon-like aesthetic with a good dose of humour. 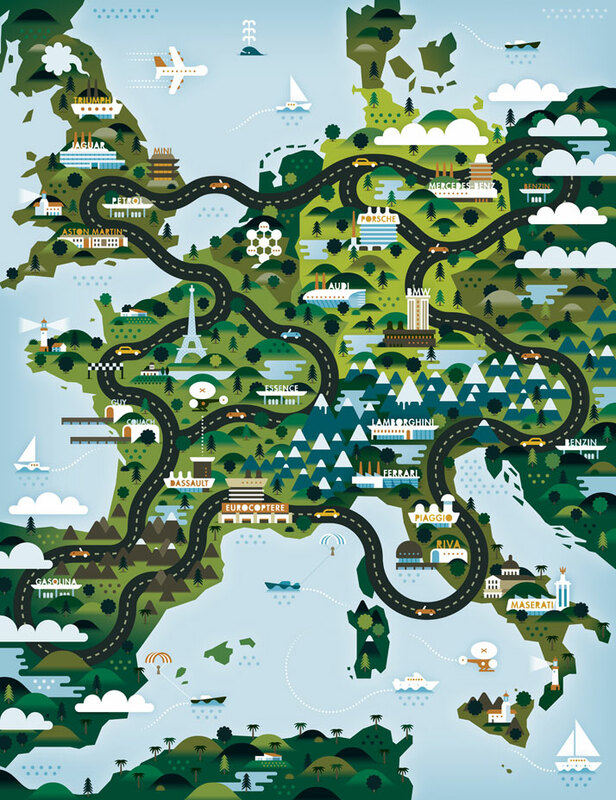 For example, their maps of popular holiday destinations (created as a series of covers for Weekend Knack magazine for its summer 2010 issue) are a delicious collection of funny, yet admirably sophisticated, maps of countries such as Portugal, France and Greece, where each country’s cultural clichés are humorously exaggerated. Unfortunately, the studio has officially stopped producing maps. Let’s hope that they change their mind sometime soon! KHUAN+KTRON's three member team who all live and work in Belgium includes Ningtiendo Sehgah from Japan, Steebz from Belgium and Mikail Mitmalka from Russia. 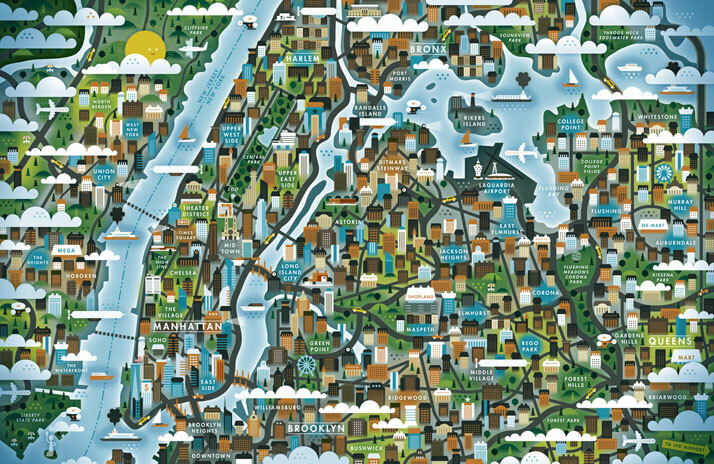 The Big Apple (for The Good Life), Courtesy of KHUAN+KTRON. 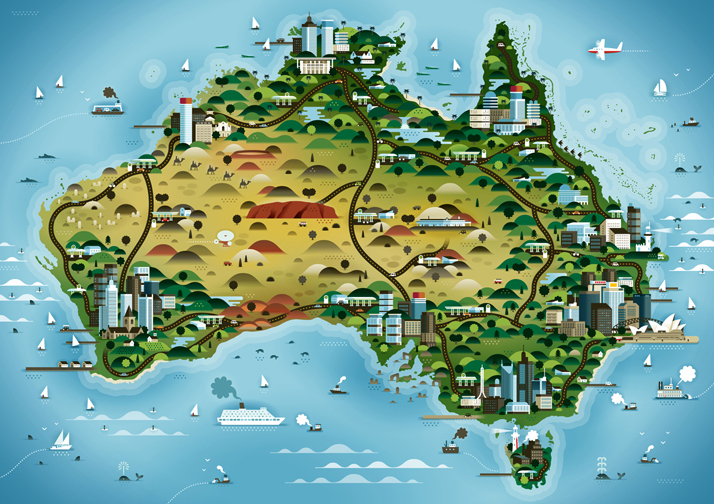 The map of Australia (for Weekend Knack Magazine), Courtesy of KHUAN+KTRON. 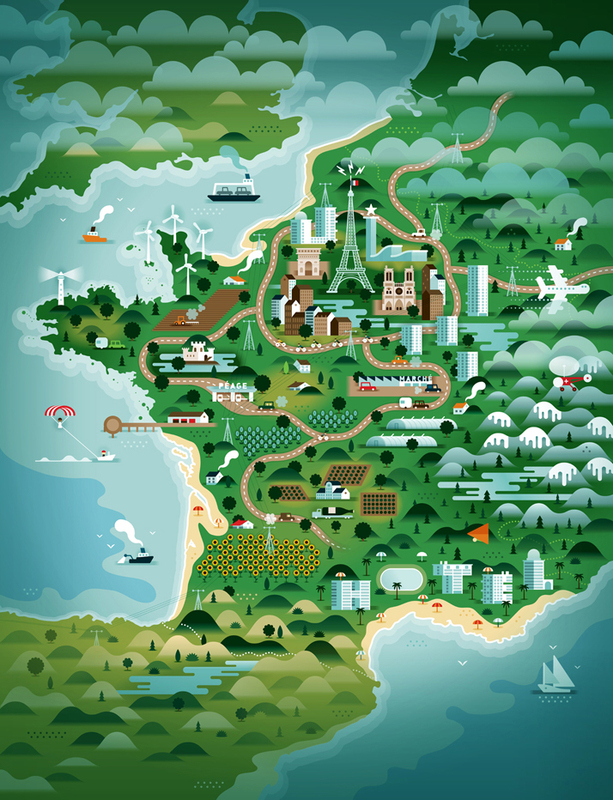 The map of France (for Weekend Knack Magazine), Courtesy of KHUAN+KTRON. 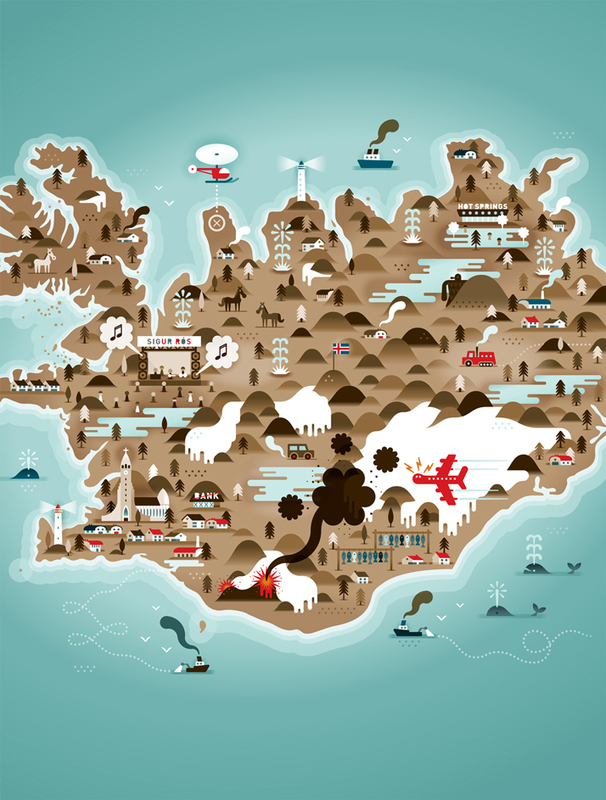 The map of Iceland (for Weekend Knack Magazine), Courtesy of KHUAN+KTRON. 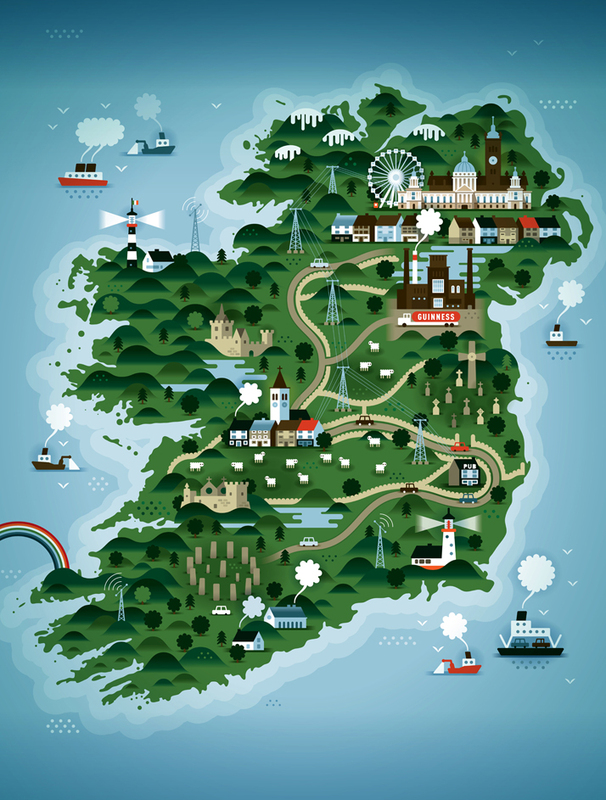 The map of Ireland (for Weekend Knack Magazine), Courtesy of KHUAN+KTRON. 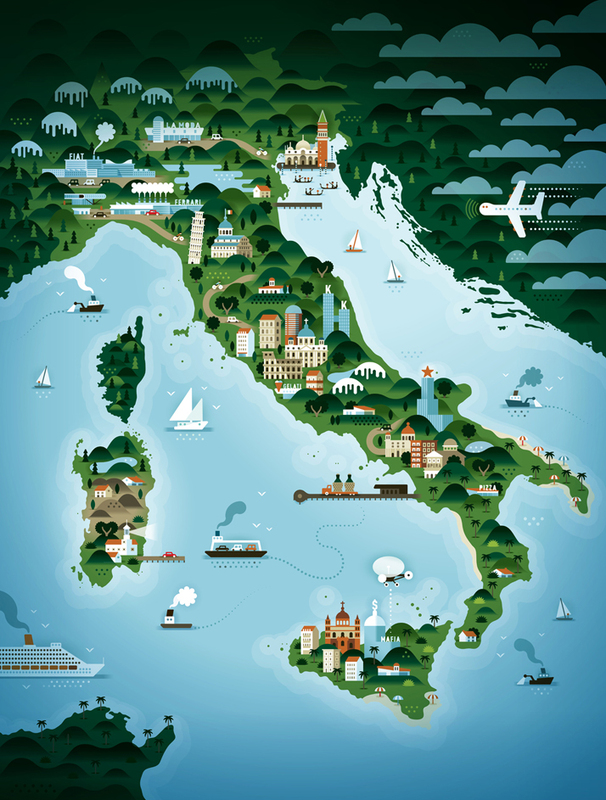 The map of Italy (for Weekend Knack Magazine), Courtesy of KHUAN+KTRON. 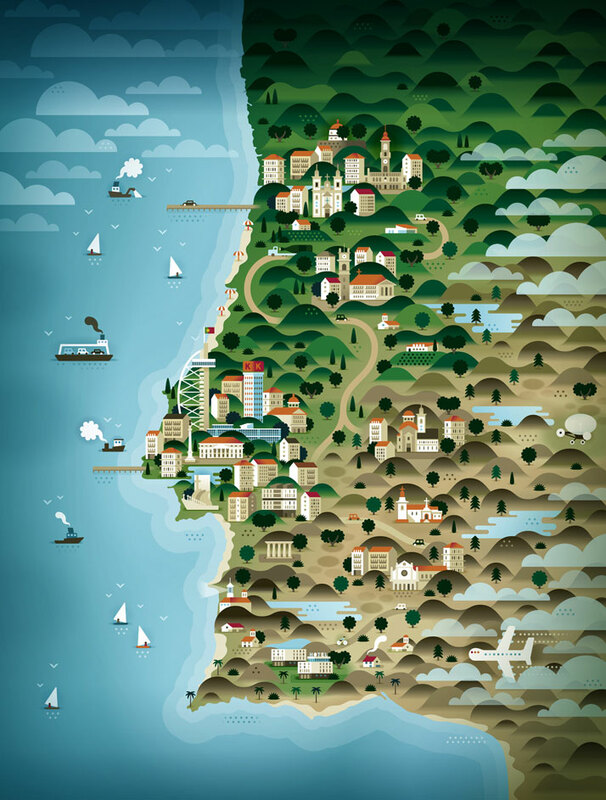 The map of Portugal (for Weekend Knack Magazine), Courtesy of KHUAN+KTRON. 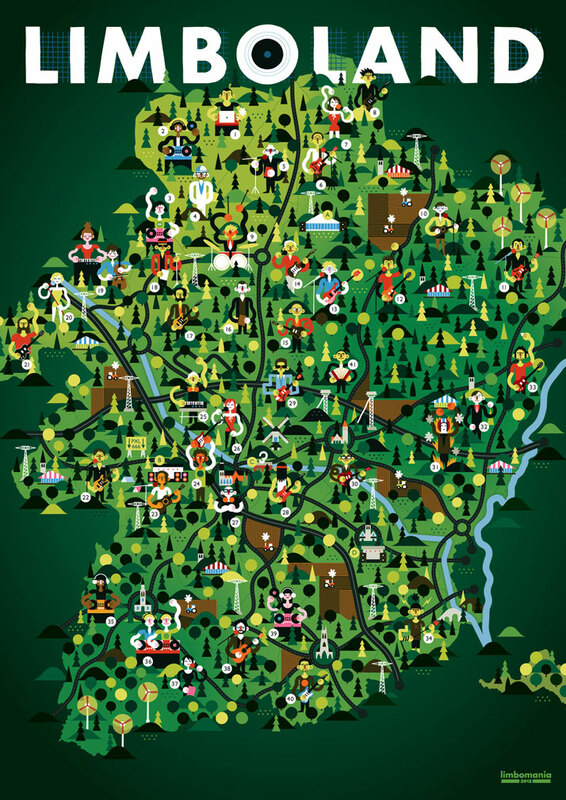 The map of Switzerland (for Weekend Knack Magazine), Courtesy of KHUAN+KTRON. 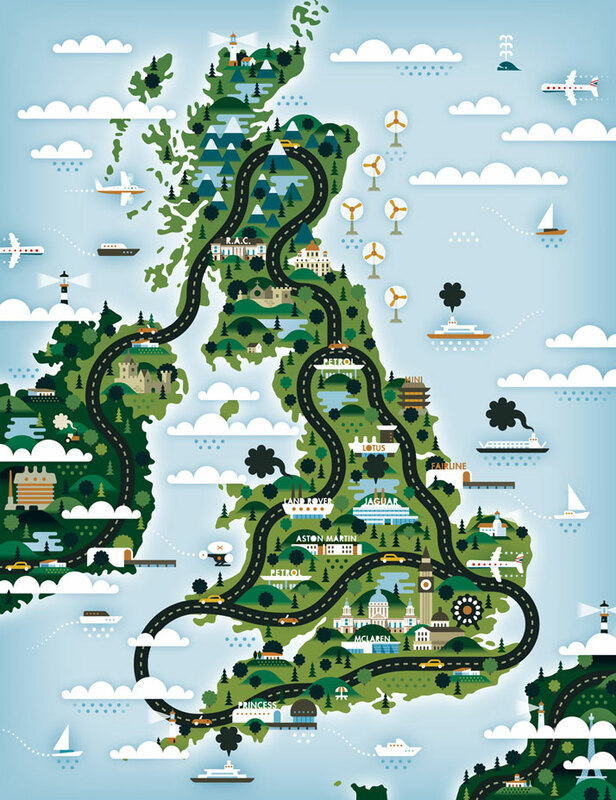 The map of United Kingdom (for The Good Life), Courtesy of KHUAN+KTRON. 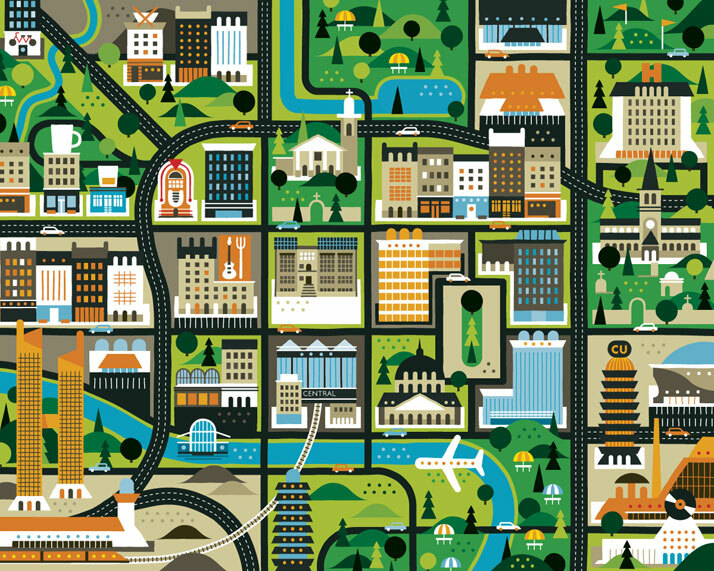 The map of Glasgow (for Intro Magazine), Courtesy of KHUAN+KTRON. An illustration for the 'fil rouge' section of The Good Life magazine, Courtesy of KHUAN+KTRON. The map of Limboland (for Limbomania), Courtesy of KHUAN+KTRON.